Supremely comfortable and accurate, these SRH940 headphones are the perfect choice for the discerning audio pro who appreciates quality. You'll notice right away that they deliver a smooth response across the audio spectrum. That means you'll enjoy nice, smooth high-end extension, while keeping the bass tight. The velour earpads add comfort for long listening sessions. 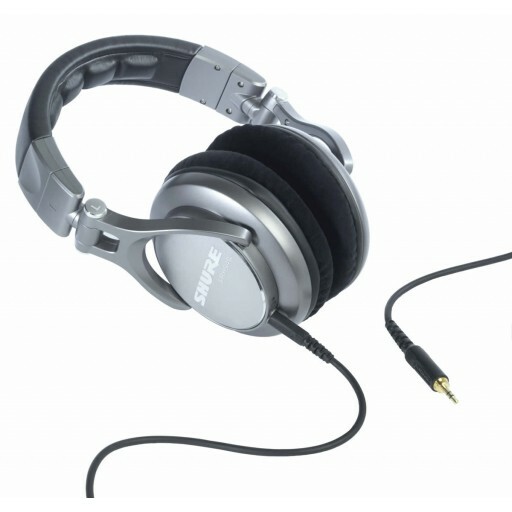 Beyond that, the collapsible design of the Shure SRH940 headphones make them perfect to tuck into your laptop bag for mobile recording projects.